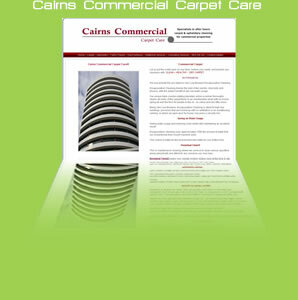 Our Commercial side of the business, Cairns Commercial Carpet Care, had it’s beginnings when the Cairns International Airport opened in 1984. Since then we have obtained many happy clients that we clean regularly for, after hours. This may be in large shopping centres such as Cairns Central, Stockland Earlville, Mt Sheridan Plaza or Smithfield Shopping Centre, or even Cairns Corporate Tower & other buildings. Shorty can be contacted on 0409 774 253 to advise a no obligation, maintenance program suitable for your premises. Content ©Get Shorty Carpet & Upholstery Cleaning.